Simple Wii Series Vol. 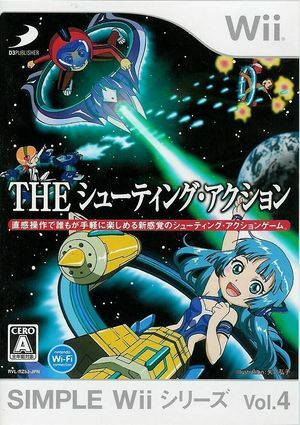 4: The DokoDemo Asoberu - The Shooting Action is a shoot'um up game which was released in Japan in 2007. The graph below charts the compatibility with Simple Wii Series Vol. 4: The DokoDemo Asoberu - The Shooting Action since Dolphin's 2.0 release, listing revisions only where a compatibility change occurred. This page was last edited on 13 January 2018, at 13:36.